MEXICO CITY (Reuters) – More governments should turn away from a repressive war on drugs that has “failed” and look to proven strategies to implement regulated markets for risky substances, a group of former presidents and leaders said in a report published Monday. Since the group that includes 12 former heads of state began advocating for an end to drug prohibition in 2011, a growing number of countries and U.S. states have created medical or recreational markets for marijuana. Now the group is looking at ways to smooth the way out of prohibition, recommending countries start regulating lower-potency drugs as well as reforms to international treaties that require prohibition and punishment. By taking control of illegal drug markets, the report argues governments can weaken the powerful criminal gangs that have grown despite decades of efforts to stamp them out. The report, “Regulation: The Responsible Control of Drugs” by the Global Commission on Drug Policy, will be released at an event on Monday in Mexico City. The commission chose to launch its report in Mexico, whose criminal gangs are top suppliers of heroin, methamphetamine, cocaine and marijuana to the United States and where gang-related violence has driven murders to a record high. “Mexico is the most important country in the fight against drugs,” said former Colombian president Cesar Gaviria. Mexico’s recent history exemplifies the report’s claim that evidence shows arresting drug traffickers has little impact on drug supply and may increase violence. Just over 10 years ago, Mexico intensified its battle with drug gangs by sending out the military to battle traffickers. While dozens of kingpins have been captured or killed, the number of gangs operating in Mexico has multiplied as new criminal leaders step into the breach and battle over turf. The commission recommends governments open participatory processes to shape reforms toward regulation. Incoming Mexican President-elect Andres Manuel Lopez Obrador has already started to hold town-hall reviews on violence and discuss potential “amnesty” for non-violent drug traffickers and farmers. Members of his team have said Mexico will evaluate creating legal markets for marijuana as well as opium. The report calls for a renegotiation of the international treaties that created a “repressive” strategy where drug users and low-level dealers face stiff prison sentences, but it cautions nations are far from a global consensus yet. Canada will legalize recreational marijuana use on Oct. 17, and it recognizes it is violating treaties. “Current drug policies are reducing neither the demand nor the supply of illegal drugs, quite the contrary, while the increasing power of organized crime is a sad reality,” writes Ruth Driefuss, the former president of Switzerland and chair of the commission. UNODC Chief tells civil society: We need you! Vienna, 14 March 2017 – Alternative development can help farmers escape the poverty trap of illicit crop cultivation, but other factors are also involved, the head of UNODC Yury Fedotov said today. “The transfer of skills and access to land, credit, and infrastructure, as well as marketing support and access to markets, while promoting environmental sustainability and community ownership are all necessary,” he said. Mr. Fedotov was speaking at an event about alternative development held on the sidelines of the 60th Session of the Commission on Narcotic Drugs (CND), organized by Thailand, Germany, Colombia and Peru. Welcoming remarks were delivered by UNODC’s Goodwill Ambassador on the Rule of Law for South East Asia, HRH Princess Bajrakitiyabha Mahidol of Thailand. Both the 2030 Agenda for Sustainable Development and the outcome document of last April’s UN General Assembly Special Session on the world drug problem pointed to the need to overcome the challenge of illicit drugs to achieve the sustainable development goals, said the UNODC Chief. UNODC has over 40 years’ experience implementing alternative development programmes and assisting countries in this work. This led, said Mr. Fedotov, to UNODC assisting Thailand and Peru to hold two international conferences on alterative development (ICAD I and II) and develop the UN Guiding Principles on the subject. Mr. Fedotov underlined the need to strengthen the research and regular monitoring of key indicators to better understand and evaluate the contribution of alternative development to the targets of the Sustainable Development Goals. UNODC’s World Drug report 2015 provided a detailed chapter on alternative development setting out the interplay between development and the challenge of illicit drugs. Alternative development programmes are aimed at helping to eliminate the cultivation of coca, opium poppy and cannabis by promoting licit farming alternatives and helping to sustain the lives of farmers and their families. Vienna, 13 March 2017 – The efforts of UNODC against illicit drugs is helping to achieve the 2030 Agenda for Sustainable Development, as well as promote peace and security, UNODC Chief Yury Fedotov told a high-level audience in Vienna today. “Alternative development is aimed at, not only reducing the cultivation of coca, opium poppy and cannabis, but also improving the socio-economic conditions of marginalized farming communities,” said Mr. Fedotov. Mr. Fedotov used his keynote speech to set out the full range of UNODC’s global efforts against illicit drugs. He pointed to the help being given to countries to bring drug lords to justice, the promotion of cooperation in the justice and health sectors, and UNODC’s support for alternatives to conviction or punishment for minor offences. 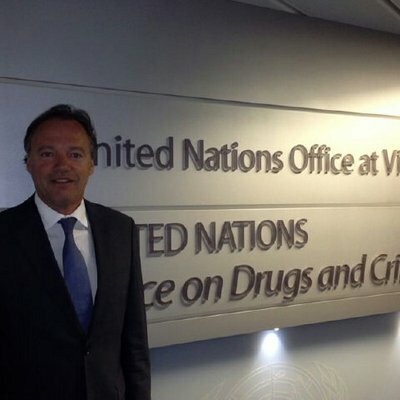 UNODC was, he said, working closely with the World Health Organization (WHO) on a number of activities, including best practices to treat drug use disorders as an alternative to criminal justice sanctions. HIV/AIDS responses were also being fast-tracked by UNODC, as a UNAIDS co-sponsor, among people who use drugs, and people in prisons. Mr. Fedotov was firm in stating that UNODC would continue to help strengthen access to controlled drugs for medical purposes. He said UNODC was raising awareness of this issue through the World Cancer Congress and the UN Task Force on Non-Communicable Diseases. On the follow-up to last year’s UN General Assembly special session on the world drug problem, Mr. Fedotov said UNODC was focused on the “practical implementation” of the recommendations made in its outcome document. “You may always count on UNODC to help put these approaches into action,” he said. Mr. Fedotov was speaking at the opening of the 60th Session of the CND. Speeches were also delivered by the Director of the National Institute on Drug Abuse of the United States, Dr. Nora Volkow, the President of the International Narcotics Control Board (INCB) Werner Sipp, and representatives of youth and civil society. The 60th Session of the CND brings together around 1,500 delegates annually representing Member States, inter-governmental organizations, and civil society for a global discussion on the world drug problem. 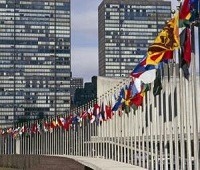 This year, the Commission will discuss 12 draft resolutions, hold around 100 side events and a series of exhibitions. 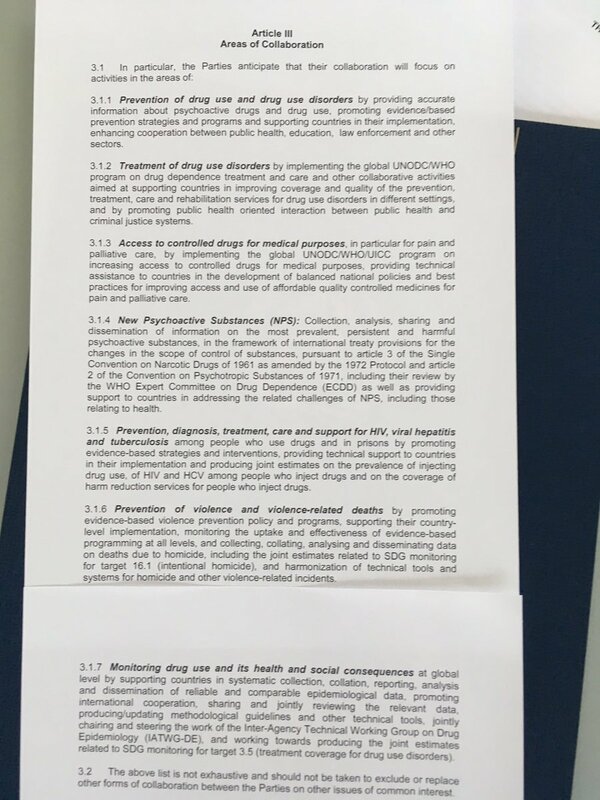 The Commission on Narcotic Drugs (CND) was established by Economic and Social Council (ECOSOC) resolution 9(I) in 1946, to assist the ECOSOC in supervising the application of the international drug control treaties. In 1991, the General Assembly (GA) expanded the mandate of the CND to enable it to function as the governing body of the UNODC. ECOSOC resolution 1999/30 requested the CND to structure its agenda with two distinct segments: a normative segment for discharging treaty-based and normative functions; and an operational segment for exercising the role as the governing body of UNODC. Promoting human rights and democratic governance is a core element of U.S. foreign policy. These values form an essential foundation of stable, secure, and functioning societies. Standing up for human rights and democracy is not just a moral imperative but is in the best interests of the United States in making the world more stable and secure. The 2016 Country Reports on Human Rights Practices (The Human Rights Reports) demonstrate the United States’ unwavering commitment to advancing liberty, human dignity, and global prosperity. This year marks the 41st year the Department of State has produced annual Human Rights Reports. The United States Congress mandated these reports to provide policymakers with a holistic and accurate accounting of human rights conditions in nearly 200 countries and territories worldwide, including all member states of the United Nations and any country receiving U.S. foreign assistance. The reports cover internationally recognized individual civil, political, and worker rights, as set forth in the Universal Declaration of Human Rights and other international instruments. The Human Rights Reports reflect the concerted efforts of our embassies and consulates to gather the most accurate information possible. They are prepared by human rights officers at U.S. missions around the world who review information available from a wide variety of civil society, government, and other sources. These reports represent thousands of work-hours as each country team collects and analyzes information. The Department of State strives to make the reports objective and uniform in scope and quality. The Human Rights Reports are used by the U.S. Legislative, Executive, and Judicial Branches as a resource for shaping policy and guiding decisions, informing diplomatic engagements, and determining the allocation of foreign aid and security sector assistance. The Human Rights Reports are also used throughout the world to inform the work of human rights advocates, lawmakers, academics, businesses, multilateral institutions, and NGOs. The Department of State hopes these reports will help other governments, civil society leaders, activists, and individuals reflect on the situation of human rights in their respective countries and work to promote accountability for violations and abuses. Our values are our interests when it comes to human rights. The production of these reports underscores our commitment to freedom, democracy, and the human rights guaranteed to all individuals around the world. I hereby transmit the Department of State’s Country Reports on Human Rights Practices for 2016 to the United States Congress. Due to be published in the “Federal Register” on August 31st, 2016 is the DEA’s “Intent to reschedule” the opioids mitragynine and 7-hydroxymitragynine These are the “ingredients” of the plant Kratom and they are placing it into schedule I using the “temporary scheduling provisions” of the Controlled Substances Act. There is a petition at Whitehouse.Gov that is asking the Federal Government to not go thru with this decision. The “drug war” has taken enough of our plants and enough of our lives. We cannot continue to let them regulate us out of every plant of food and medicine which were given to us as Our “inalienable rights” as Human Beings and laid out in Our Constitution as such, and regulate it out of our reach through the use of “Agenda 21” as laid out by the United Nations, in which the United States is one of only five “permanent members”! First, PLEASE SIGN THE PETITION, and then make phone calls and write letters to your Representatives concerning this issue! 1) Sign our Change.org petition to President Obama calling for stronger US action on global drug policy reform — calling for reform of the UN drug treaties to allow for legalization of marijuana or other drugs, for the supremacy of human rights, stronger support for public health measures and more. This petition will continue through next January, but if enough people sign it by Sunday night, we will share it with our contacts in media who are working on stories about next week’s UNGASS. 2) If you run or work with an organization, please consider endorsing our sign-on statement to the UN and the US government. There are hundreds of organizations on the statement already, including some of the leading civil rights, HIV/AIDS groups and religious coalitions, among many others. But we need hundreds more to make the kind of impression on media that we want the statement to have. To endorse the statement, just email me at [email protected], and feel free to contact me with any questions. 3) If you believe it’s important for the US drug policy reform movement to play a role in UN drug policy and US foreign policy on drug issues, please make a generous donation to support this campaign. The UNGASS is next week, but global drug policy and our work goes on. The next big UN drug session is just three years away this time, 2019 — the work we’ve done so far is just the beginning. We’ve done more than organize sign-on letters and petitions. Last week we held a teleconference for media, featuring legislators from Canada and Mexico talking about the prospects for marijuana legalization in those two countries. Next week we are hosting a meeting of NGOs from around the world for how to end the death penalty for drug offenses. We have secured coverage in a range of prominent media outlets, like WashingtonPost.com and the International Business Times, and there are many more that are likely to write stories for UNGASS next week. We have spoken at the UN, for legislative coalitions in Washington, we have brought new and important organizations into drug policy reform. And there is more to come, with your help. Again, I hope you will sign our petition to President Obama, and that you will help us with an organizational endorsement for our sign-on statement if you can, by Sunday night. Thank you for your support! Two senators held a hearing of the Senate Caucus on International Narcotics to determine if the Justice Department is neglecting its duty to enforce federal marijuana laws. Only anti-pot activists and those opposed to legalization were invited to testify. Senators Chuck Grassley (R-Iowa) and Dianne Feinstein (D-California) may be on opposite sides of the political aisle, but they are on the same page when it comes to opposing marijuana legalization as co-chairs of the Senate Caucus on International Narcotics. Despite representing a state that has legalized medical marijuana, Senator Feinstein authored letters to Attorney General Eric Holder and Secretary of State John Kerry last year to point out, “It is our understanding that no one in the Justice Department has initiated a centralized effort to measure the overall effect of these laws,” the LA Times reported. The points raised by the hearing’s speakers and participants sounded like those that might be made at a DARE meeting, though even that prominent drug-free organization has backed off its anti-marijuana campaigns. Grassley argued that marijuana is a gateway drug, connecting it to the heroin and opioid epidemic currently ravaging much of the US. “Last year, the Centers for Disease Control found that people who are addicted to marijuana are three times more likely to be addicted to heroin. So if the Obama Administration is serious about addressing this epidemic, it should stop burying its head in the sand about what’s happening to its enforcement priorities on recreational marijuana,” Grassley said. However, the Washington Post points out that, as a result of marijuana’s potentially pain relieving properties, broadening accessibility to pot could reduce the need for painkilling drugs, possibly reducing the related risk of addiction and overdoses. Nebraska Attorney General Doug Peterson said that Colorado’s recreational and medicinal legalization are negatively affecting his state’s youth. “I can tell you story after story of… high school students gathering up their money and sending a buyer into Colorado and bringing [marijuana] edibles back or bringing the product back,” he said. Data from the Substance Abuse and Mental Health Services Administration (SAMHSA) contradicts those claims. SAMHSA found that from 2012 to 2014, marijuana usage in Nebraska declined among teens. In 2012, Colorado voted to pass Amendment 64, a measure that legalized the sale of marijuana for recreational use to adults aged 21 years or older. California, Arizona, Nevada, and Massachusetts are also going to the polls to vote on similar legalization this year. With Colorado’s pot industry raking in just under $1 billion in 2015 alone, the pro-marijuana side may not have needed to attend the Senate’s caucus on international narcotics. A seemingly historic medical marijuana summit by several US government health agencies will largely exclude evidence coming from the states that have legalized medical cannabis — another example of entrenched Washington, DC bureaucrats placing politics over science in the marijuana debate. The National Center for Complementary and Integrative Health (NCCIH) and four other NIH institutes and centers is holding the “Marijuana and Cannabinoids: A Neuroscience Research Summit” today and tomorrow in Bethesda, Maryland. “The overarching goal is to present current basic research and evidence-based information to identify research gaps to ultimately inform science, practice, and policy,” an NCCIH release states. But the presence of at least one co-sponsor, the National Institute on Drug Abuse, ensures that the summit will be less about healing and more about Reefer Madness. NIDA’s official mission is to fund studies to find harms in cannabis — not any benefit. The summit will not include leading doctors who treat patients with medical marijuana, or patients themselves. Instead, NIDA’s director, Dr. Nora Volkow is opening and closing the summit, which will showcase NIDA’s most recent research efforts to show marijuana harms the brain, brain development, and function. The White House Drug Czar will weigh in after lunch, followed by talks on pot and psychosis, pot addiction, and combining pot with alcohol. Only at the end of the day will speakers address the ability of cannabis to treat epilepsy and multiple sclerosis. A marijuana-derived drug reduced seizures by 40 percent in kids with untreatable epilepsy, clinical trials revealed last week. Tomorrow, NIDA will relay its latest on pot and driving in the morning. Talks on cannabis’ potential for use on pain and anxiety precede discussions about potential negative health effects of legalization. States with medical marijuana laws have 25 percent less opioid overdoses than states without cannabis access, a study published in JAMA showed. In February, US Senator Elizabeth Warren, D-Massachussetts, asked the CDC to consider legalizing pot to stem the opioid overdose epidemic. “This conference does break down some of that taboo, but performs a great disservice to the American people by excluding in the core agenda medical and scientific speakers who can describe health lessons learned from the two dozen medical cannabis state level programs in the United States,” he wrote. Millions of patients have been treated by botanical cannabis, Aggarwal notes. One in twenty California adults have reported using medical cannabis for a serious condition and 92 percent of them believe pot worked, researchers report. “This belies the strong phamaceuticalized cannabis slant of this conference, despite its co-sponsorship by the National Center on Complementary and Integrative Health, which ought to be studying cannabis and cannabinoid integrative health and medicine, not ignoring it,” Aggarwal wrote. The doctor who wrote the textbook on cannabis in Integrative Oncology, Donald Abrams of San Francisco, is also not part of the summit. Neither is leading researcher on using marijuana to treat PTSD — Dr. Sue Sisley. According to the National Cancer Institute, cannabis users have a 45 percent decrease in the likelihood of bladder cancer compared to non-users. The journal Epidemiology reported cannabis users had 30 percent less likelihood of diabetes compared to non-users in studies. The American Epilepsy Society reported a 47 percent drop in pediatric epileptic seizures during clinical trials of cannabis extract Epidiolex, and 9 percent of kids in the study became seizure-free. Cannabis is ranked number one on the US government list of the most dangerous drugs. Researchers report facing more hurdles to studying botanical cannabis than any other drug. Prescription opioids are far less controlled. The number of overdose deaths from cannabis in recorded history is zero, while the number of overdose deaths from opioids in 2014 in the United States totaled 28,647. Doctors wrote 259 million opioid pain medication prescriptions in 2012. About 100 Americans die every day from opioid overdoses. The opiates that addicts swallow, snort and inject often begin their journey to India from the Golden Triangle and the Golden Crescent. The former is Southeast Asia’s primary hub for opium cultivation. Located along the Mekong river, where the borders of Myanmar, Laos and Thailand converge, the illicit trade thrives — exceeding $16.3 billion per year, according to a 2014 UN report. Though eradication efforts in the late ’90s and early 2000s caused the area’s opium cultivation to decline, it began surging again in 2006, partly because improvements in transportation made it easier to move the drug from place to place. The Golden Triangle is currently the world’s second-largest opium producer. A 2014 report by the UN Office on Drugs and Crime estimated the region’s opiate poppy cultivation rose to 63,800 hectares last year, compared with 61,200 hectares in 2013, nearly triple the amount harvested in 2006. Myanmar is the region’s leading opium cultivator. Poverty and a lack of economic opportunity fuel illicit opium farming throughout the Golden Triangle, say researchers. In one survey in Burma, village farmers said they cultivated opium poppy just to provide for basic essentials such as food, education and housing. Researchers say economic development in these areas may be the best way to prevent opium growing. The Golden Triangle was recently replaced as the world’s dominant opium producer by a new regional power known as the Golden Crescent, an area comprising Afghanistan and Pakistan. Afghanistan is the world’s largest opium producer and Pakistan primarily serves as an illicit drug trafficking route. A 2014 World Drug Report said war-torn Afghanistan accounted for 90 per cent of global opium production. In 2013, the country cultivated an estimated 5,500 tons of oven-dried opium, which translates into roughly four per cent of the country’s Gross Domestic Product. Further, the already substantial opium cultivation area is growing. According to the report, the farming area increased by 36 per cent from 154,000 hectares in 2012 to 209,000 hectares in 2013. This uptick in Afghanistan’s opium cultivation continues despite the fact that the USA has invested more than seven billion dollars to combat the issue. A 2014 report from the US Special Inspector General for Afghanistan Reconstruction described how the country’s opium cultivation was at an all-time high, despite more than a decade of US-led counter-narcotics efforts. Afghanistan’s illicit opium production and trafficking is a multibillion-dollar industry where the Taliban-funded terrorist organisations reap the most profit. The UN Office on Drugs and Crime estimates that in 2009 the Afghan Taliban earned around $155 million from the illicit opium trade, while Afghan drug traffickers acquired $2.2 billion — a grim reminder of how drugs fuel crime and terrorism as well as addiction. The First Qatar International Anti-Drug Forum will start today, under the patronage of HE the Prime Minister and Interior Minister Sheikh Abdullah bin Nasser bin Khalifa al-Thani, at Sheraton Doha. Delegates from more than 22 countries and many regional and international bodies and organisations will also attend the forum. “More than 250 officials and experts are expected to attend this international event, where they will discuss more than 16 papers presented by a group of specialists in the field of counter-narcotics from around the world. The discussion of these papers will bring some of the findings and recommendations that will contribute in countering the drug problem and uncovering drug trafficking routes,” he said.